As we begin the month of November, many take time to be thankful for the gifts they have in their lives. Our family just returned from the trip of a lifetime. We had the honor of serving as the NMPF National YC Chaircouple for the 2011-2012 year. Part of that position allowed us to travel to Orlando, Florida for the annual meeting of the dairy industry. Since we were flying all that way, we decided to take our kids, my parents, Lonny’s parents, Lonny’s sister,niece, nephew, and brother and his girlfriend. Basically we asked the entire family to travel with us and enjoy all the fun of Disney World while we attended meetings. What a trip!! What an amazing trip. 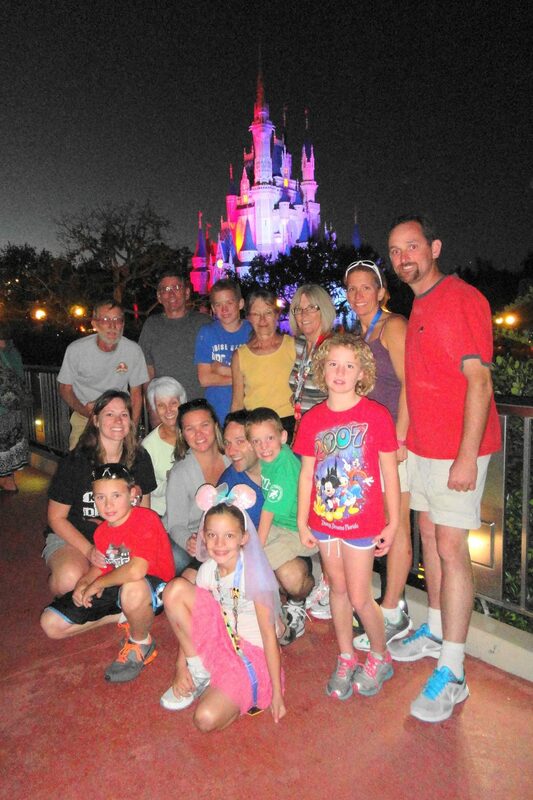 Our entire family was able to enjoy all the incredible rides and shows at all 4 Disney World parks. We even managed to squeeze in a “down” day and swim and BBQ at one of the hotels in the area. If you ask any one of us, we all have a favorite ride or memory. But what we all have in common is we enjoyed our time together. We all live in different regions of the United States, but for 1 amazing week we created memories together that will last a lifetime. I will be forever thankful. What a nice time it sounds like you all had. Family time is important. What a nice memory for all of you to have.